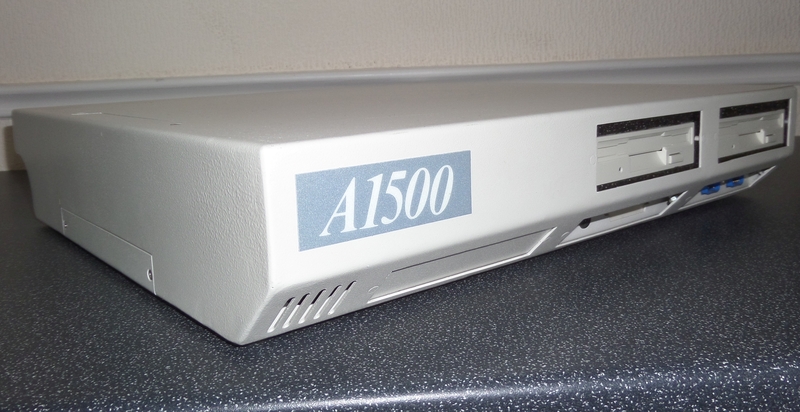 The Checkmate A1500 was a workstation in a similar style to the A2000, however it was based on the A500. 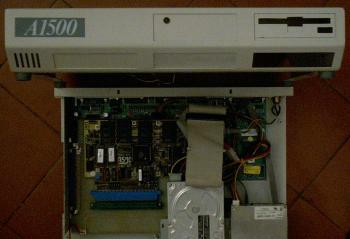 It was available as a complete unit or as an expansion kit for your exisiting A500 or A500+. 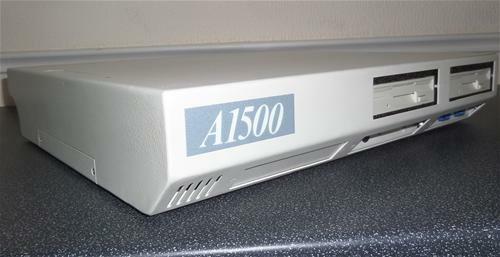 The Checkmate A1500 actually helped prompt the release of the official A1500 from Commodore which was a special release of the A2000 for the UK market. The unit consists of a solid steel case which opens like a drawer, with all the mouse and joystick ports accessible from the front. 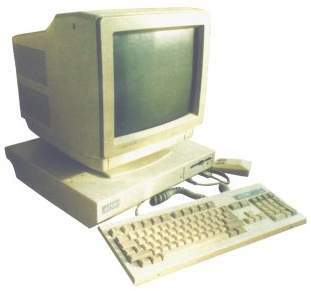 The external keyboard is actually the original A500 or A500+ housed in a sturdy external keyboard case. 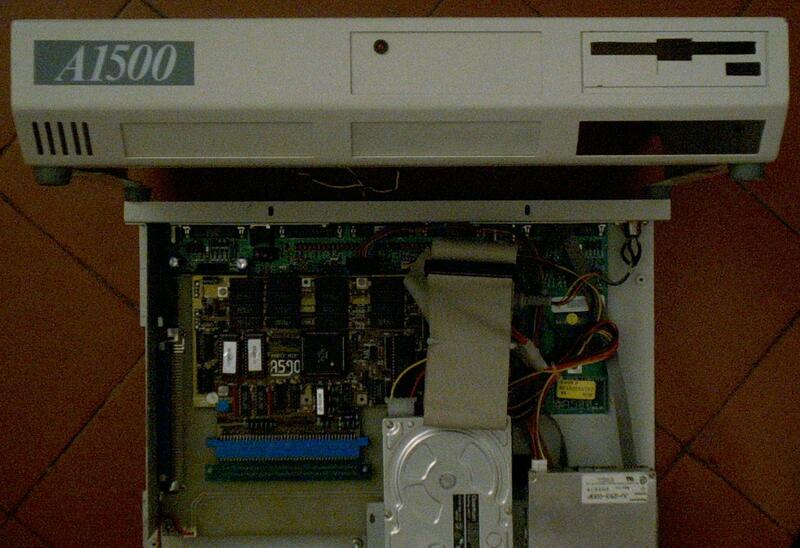 The side expansion slot of the A500 is still assessible from the left hand side of the unit. The front of the case has three faceplates although there is very little room to actually mount anything behind them, but the rear contains two DB25 sized backplates which are useful for installing external SCSI connectors. 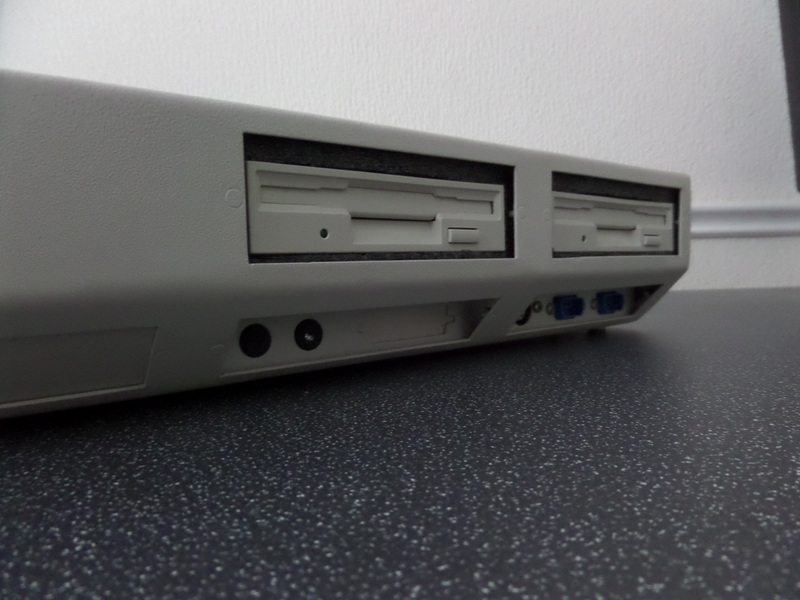 Care should be taken when opening the case, not to put stress on the floppy drive as this can cause it to bend slightly meaning it won't align correctly with the floppy faceplate. An estimated 400 machines were sold. 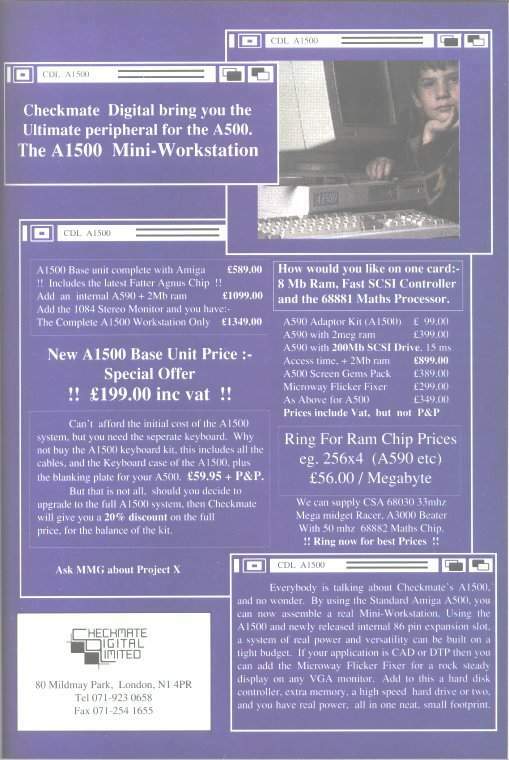 "By using the Standard Amiga A500, you can now assemble a real Mini-Workstation. Using the A1500 and newly released internal 86 pin expansion slot, a system of real power and versatility can be built on a tight budget. If your application is CAD or DTP then you can add the Microway Flicker Fixer for a rock steady display on any VGA monitor. 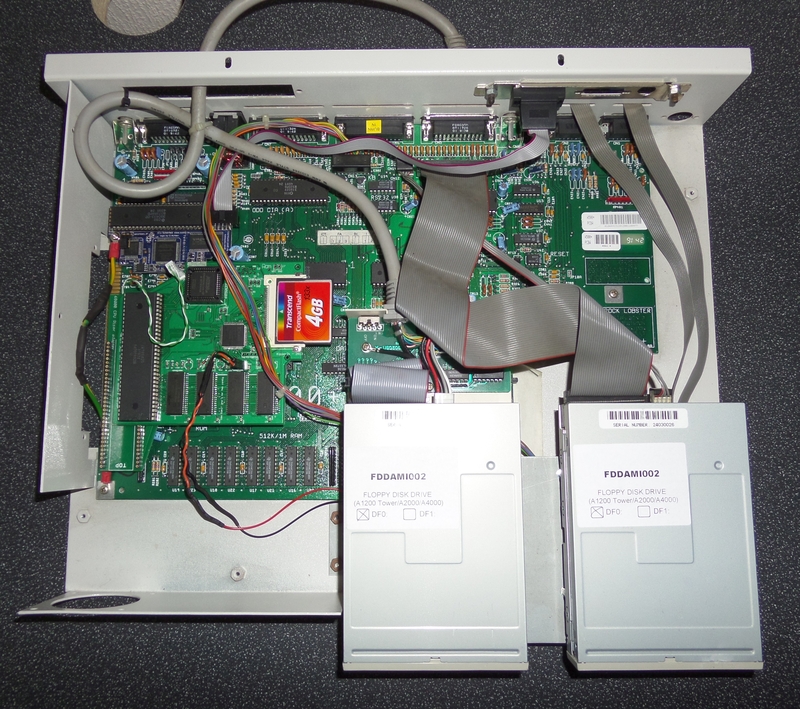 Add to this a hard disk controller, extra memory, a high speed hard drive or two, and you have real power, all in one neat, small footprint." Parts of this page are: "(c) NSH foundation & Treveur 'Nowee' BRETAUDIERE, all rights reserved." and are permitted for inclusion in The Big Book of Amiga Hardware. Page contributors: John Klumpp, Paul Moore, Treveur Bretaudiere.